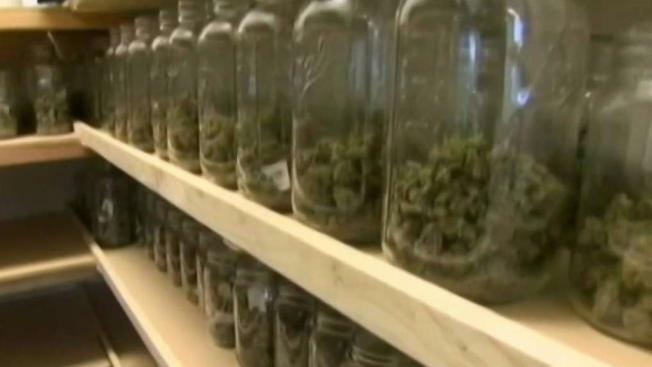 Concerns Over Future of Recreational Marijuana in Mass. U.S. Attorney Andrew Lelling refused to offer guarantees that marijuana businesses legally operating under Massachusetts law would be exempt from federal prosecution. The New Hampshire House has given preliminary approval to legalizing the recreational use of marijuana, even though a state commission studying the issue is months away from finishing its work. The House voted 207-139 on Tuesday to send the legalization bill to its Ways and Means Committee. If enacted, it would allow adults to possess up to an ounce of marijuana and to cultivate it in limited quantities. Provisions that would have created a regulatory system for selling and taxing the drug were dropped from the amendment that is moving forward. Opponents argued that the bill was premature because a commission created last year to study the issue won't make its recommendations until November. But supporters say New Hampshire shouldn't be an "island of prohibition" as other states legalize marijuana. The move by state lawmakers comes days after U.S. Attorney General Jeff Sessions moved last week to overturn an Obama-era Justice Department memo that had allowed for legal recreational marijuana industries to expand in states. Eight states, including neighboring Maine and Massachusetts, have legalized adult use of recreational marijuana. Attorney General Jeff Sessions will end an Obama-era policy that let states legalize marijuana, according to two sources to The Associated Press.